If Jesus rose from the grave, Christianity is true. If Jesus did not rise from the grave, Christianity is false. To make a case that the resurrection of Christ occurred, it needs to be shown that Jesus died, was buried, his tomb was found empty, and people interacted with him alive again. Robert Bowman of Credo House made a list of fourteen evidences to support the resurrection claim of the apostles and early Christian Church. This episode of reconnect focuses on the last seven evidences Bowman listed. With the help of Ben Fisher, Andy Wrasman provides details to flush out Bowman’s brief summaries of these strands of evidence. Go back to Episode 50 to hear evidences 1-7. Click here to play in iTunes. Robert Bowman of Credo House made a list of fourteen evidences to support the resurrection claim of the apostles and early Christian Church. This episode of reconnect focuses on the first seven evidences Bowman listed. With the help of Ben Fisher, Andy Wrasman provides details to flush out Bowman’s brief summaries of these strands of evidence. Tune in for Episode 51 to hear evidences 8-14. I met a student at Saddleback Community College yesterday who asked, “How can we be sure that Jesus died?” I shared the following information with her, but I didn’t have the quotes at the time. I gave her the website address http://www.contradictmovement.org and told her that there were links to a blog and Facebook and that I would post this for her. I pray that she finds this and that others who need this information will find it too. The important part is not just that he died, but that he was buried, and then raised! 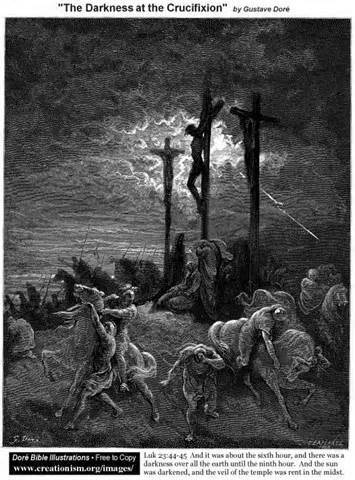 With such internal and external evidence connecting an unprecedented and unexplainable extinguishing of the sun to the time of Jesus’ crucifixion, coupled with accounts of subsequent bodily resurrection; it’s likely that such news reached even the ears of the Roman emperor, who could have sent an investigator who would have had the authority to access all pertinent parties to verify if Jesus was in fact crucified. Many other investigators of lesser political or wealthy status could have made inquiries about his death. It wasn’t as if Pontius Pilate was completely inaccessible. The Jewish Sanhedrin clearly had no problem bringing Jesus before Pilate and Herod to be tried for insurrection. (Luke 23:1-25) Without a doubt, many Jews and Romans in the region would have wanted to investigate Jesus’ death and would have had the means of verifying if Jesus did die by crucifixion under Pontius Pilate. Even if they couldn’t speak with Pilate in person, there were plenty of witnesses who saw him sentenced to death, since a riotous crowd shouting for Jesus to be crucified forced Pilate to condemn Jesus to the cross. (Matthew 27:15-24, Mark 15:9-15, Luke 23:20-25) Surely, an eyewitness from this scene could be found rather easily in the months to years following Jesus’ sentence. Both Matthew and Mark record that after Jesus’ death sentence, that he was taken to the Praetorium, the governor’s residence, where the entire company of soldiers stationed there stripped him, put a scarlet robe on him, gave him a crown of thorns, mocked him, spit on him, beat him, and had him flogged! (Matthew 27:27-31 and Mark 15:16-20) After this treatment, the Gospels record that the soldiers led Jesus away to his crucifixion. Many of these men would be able to serve as witnesses to Jesus’ death, or if they didn’t see execution through until the end, they would be able to point you to centurion and his soldiers who oversaw his final hours. Another witness that could likely be found was a man from Cyrene, named Simon. The Synoptic Gospels record that the soldiers forced him to carry Jesus’ cross. Mark records that this man was the father of Alexander and Rufus. (Mark 15:21) He writes these names as if his audience would have known who they were. Surely, a man named Simon, from Cyrene, who has two sons named Alexander and Rufus, could have been found and interrogated in the early first century. He should be able to answer the following questions with ease: Were you forced to carry a cross at the time of the Passover? 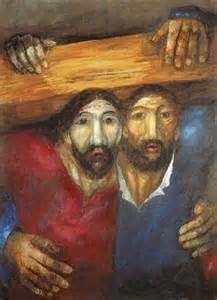 Was the man whose cross you carried, Jesus of Nazareth? Did he say anything to you? What was his condition like when you carried his cross? Was he crucified at Golgotha, The Place of the Skull, as Jesus’ disciples claim? Is it true that a sign was placed over his head that said, “THIS IS JESUS, THE KING OF THE JEWS.”? Did you see Jesus nailed to the cross? What about his death? Did you stay to witness it? Could you tell if any of his followers or family was there for his execution? What did you think about the sky going dark at his crucifixion? Or the earthquake at his death? Do you think they are linked? If Jesus was not sentenced to death by Pontius Pilate, surely Pontius would publically squelch that rumor, or Herod or the Sanhedrin. If someone other than Jesus was nailed to the cross, the mob who demanded his crucifixion, the women disciples who stayed to his final breaths, his closest disciple, John, should have been able to confirm that Jesus did not die on a cross. If anyone questioned if Jesus could have survived the crucifixion as a possible explanation for how his tomb was empty and people saw him alive post-mortem, the executioners would certainly be able to affirm if he was dead or not. 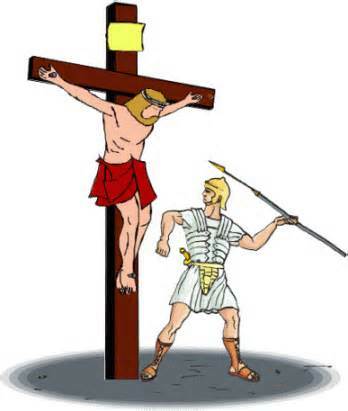 The man who thrust the spear into Jesus’ breathless body would be able to confirm if Jesus died on the cross. The Gospels record that the centurion in charge of Jesus’ execution, after seeing how Jesus died, said, “Surely this man was the Son of God” (Mark 15:39). The first century inquirer would seek the centurion for confirmation of Jesus’ death and would learn if he truly did believe Jesus was the Son of God based on the way he died. If any of the Gospel accounts were false on how Jesus died, these witnesses would deny them. Living in the 21st century we have no record that they ever did. 3. Chan, Kei Thong. Faith of Our Fathers: God in Ancient China. Shanghai, China, 345 Xianxialu, 2006. p. 318. Click here to order my book, Contradict – They Can’t All Be True.